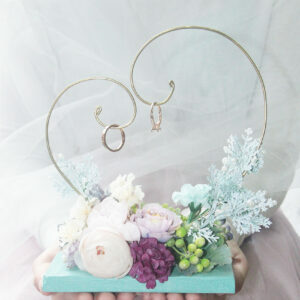 Ring Hanger | Yada.vn | NEW WAY TO BEAR THE RINGS ! 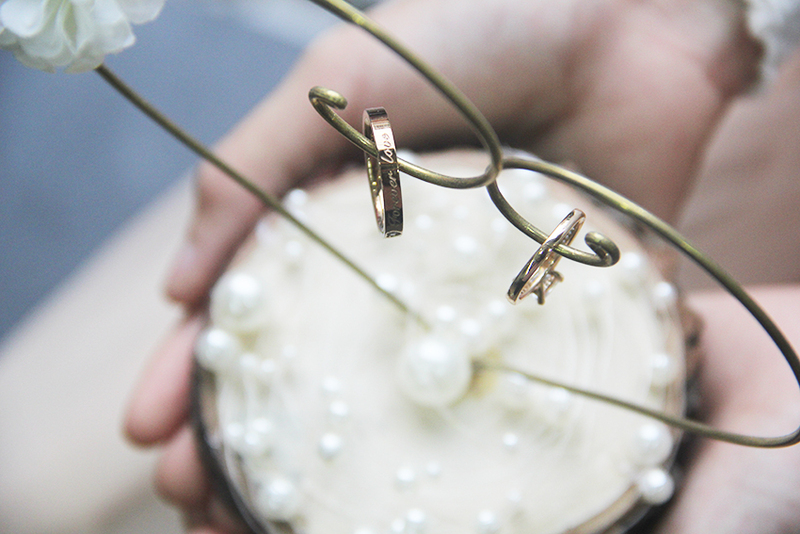 If you feel bored with traditional ring pillow and still consider some ring box . 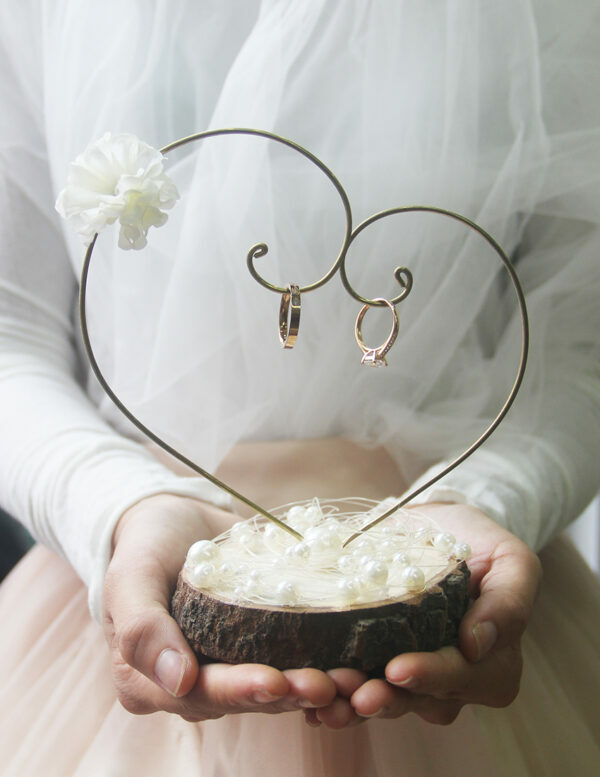 Why not try a new way to hold your rings with ring hanger ? 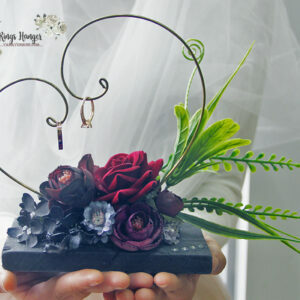 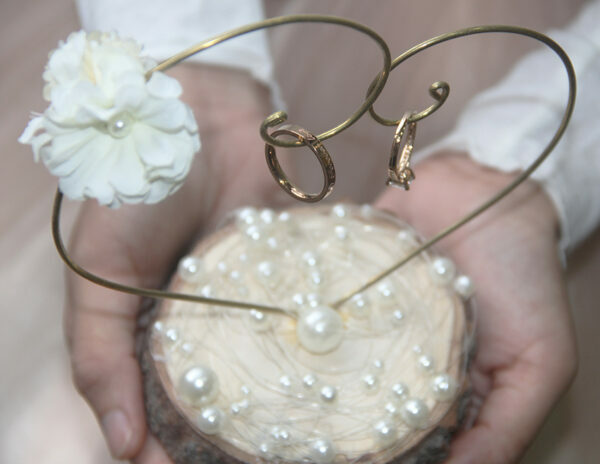 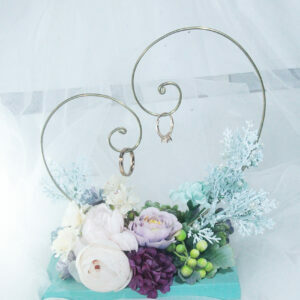 Wood base and fabric flowers underneath will make your Ring hanger stand out . 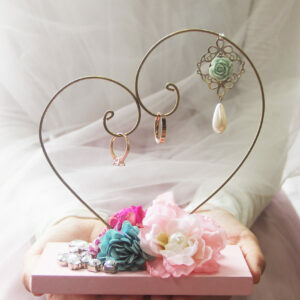 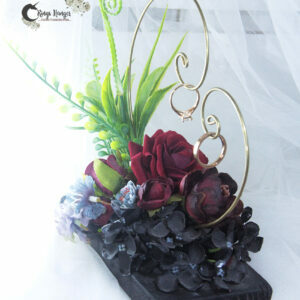 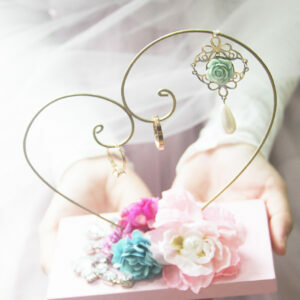 We have more than 20 design for ring hangers , and that’s mean you have many color options match to your wedding theme.